Unfortunately, it took us a while to figure out that our battery camera was going dead (and we missed taking pictures on several occasions because of this). At first, when the battery would run out, we would blame it on our kids using the camera a lot and then not recharging it. On some weekends or after school, our kids take a lot of (long) videos of themselves dancing, goofing around, and just being kids, and then watch them over and over again. This can run down even a new camera battery. So when the camera battery would run out, I'd yell "who used the camera a lot and forgot to recharge it!" Unfortunately, we missed so taking some great pictures because of an unexpected dead camera battery. But it wasn't until we went to Yosemite last summer that I figured out the problem was the battery and not my kids. I charged the camera and then declared the camera to be officially off-limits so it would be okay for our camping trip. But then shortly into the trip, we got the dreaded "battery exhausted" message, and weren't able to take an more camera pictures until we later recharged it (fortunately we had our new Moto G smart phones along and got pictures with them, but we prefer the pictures on our Nikon Coolpix camera. Looking back, I think one of the reasons I never thought it could be the battery failing was because the camera was less than two years old, and I didn't think a battery would wear out that fast. In any event, I finally figured out the real problem was simply that the battery was failing and it was time to replace it. I first looked into buying an original OEM Nikon EN-EL19 battery, but discovered the suggested retail price was $52.99 and the lowest legitimate price I could find was about $30. I also saw the EN-EL19 battery had mostly horrible reviews on Nikon's own website (see screenshot on right), which confirmed my own experience since my EN-EL19 battery lasted less than 2 years. I didn't want to pay that much, and I wasn't impressed with the lifespan of the original Nikon ENEL19. But I had bought a generic no-name rechargeable battery for a previous digital camera we had many years ago, and that no-name battery turned out to be junk, so I wasn't sure what to do. I didn't want to overpay for a replacement battery, but I also didn't want to buy a junk battery and get ripped off. I just want to pay a fair price and get a quality battery that lasts. Then I remembered the Lenmar replacement batteries that I purchased for our RAZR flip phones, and how well they worked. So I looked on Amazon and found a Lenmar replacement battery for the EN-EL19 (I like purchasing from a major retailer who turns over their stock regularly as I don't want to get a battery that has been sitting on a shelf for several years). So I bought the Lenmar DLZ319N equivalent battery on Amazon for $9.99 in October 2014. 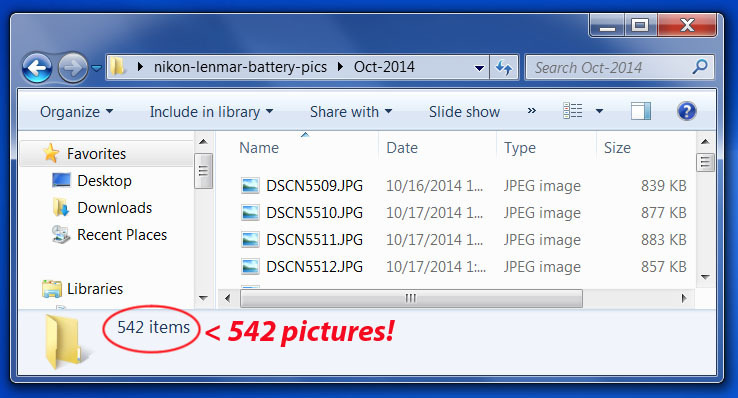 When I got my new Lenmar DLZ319N battery (October 2014), I was anxious to see how well it worked (or if I had made a big mistake), and being who I am (I'm an engineer by training and a bit of a geek) I decided to do a test to see how many pictures I could take on a single battery charge. 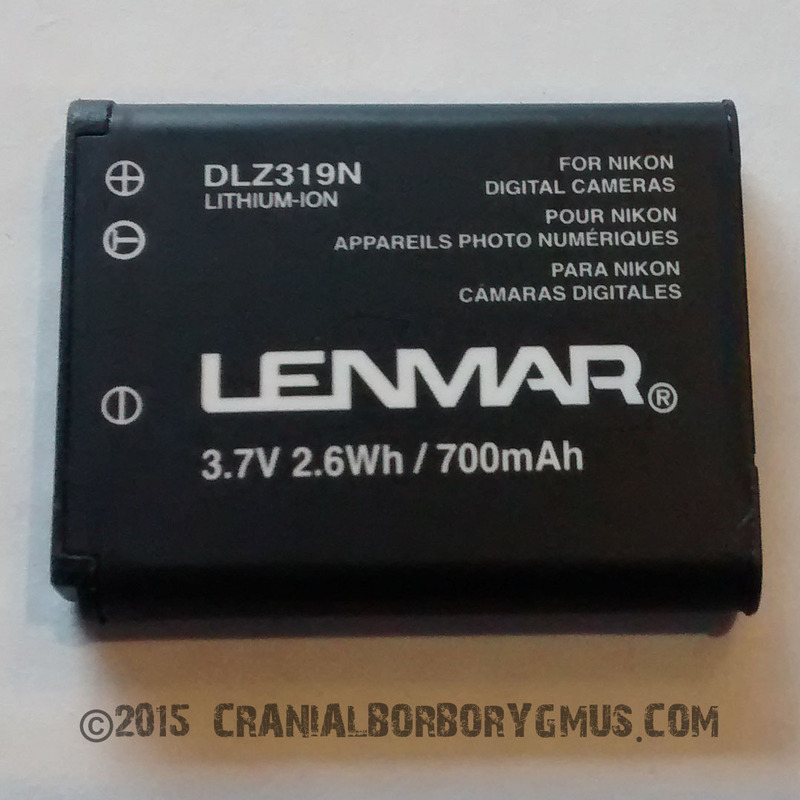 I installed the new Lenmar battery and fully charged the camera. I then proceeded to start taking pictures. I looked up the original Coolpix s4300 camera specifications and read that the original EN-EL19 battery was supposed to be good for 180 shots. 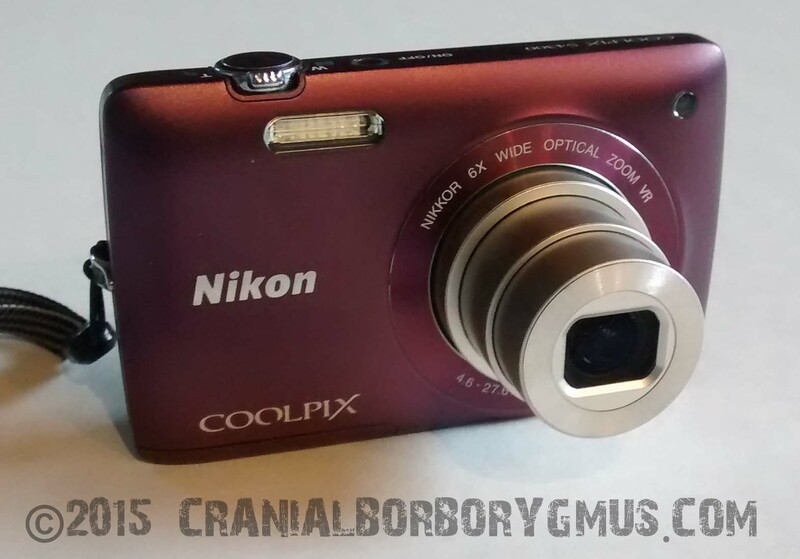 The Coolpix camera specs said the pictures were taken alternating between no flash and flash, and with the resolution set to the maximum of 16megapixels. There was also the qualification that battery life depends on several factors, such as how long you have the screen on between taking pictures. Well, I wasn't going to switch the flash on and off every time, so I decided to alternate between taking ten pictures with no flash, and then ten with flash, and then another ten with no flash, etc. I also set the picture resolution to 4megapixels instead of 16megapixels since that is our normal setting because we generally don't need the maximum resolution and it results in significantly bigger picture files that fill up a hard drive much faster. I also tried to pause 5 to 10 seconds between pictures. However, it rapidly became pretty boring snapping random pictures, and I make no claims as to exactly how many were flash vs no flash (but pretty close to 50-50) or how long I waited each time. It seemed to take forever, but eventually I managed to get the "battery exhausted" message. Rather than trying to count how many pictures I took, I simply downloaded all the pictures to a folder on my computer and checked how many there were. Knowing the goal was to be able to shoot about 180 pictures, I was stunned to see I had managed to take 542 pictures on a single battery charge! The Lenmar ENEL19 equivalent battery was not only as good as the original, it was probably better! Since installing the Lenmar battery last October, we have used our Nikon Coolpix camera with no problems. The battery has needed to be recharged a few times, but it's never gone dead too quickly or when we need to take important pictures. One still needs to remember to charge the battery of course, but it seems to last a good long time. It's now February 2015, 4 months later, and I wondered how the battery was holding up. So I decided to repeat my test this past weekend. I again fully charged the battery, and started snapping away. I again tried to keep track and switch between flash and no flash every ten shots, but I'm sure I lost track at times and took a few extra of one or the other type of shot. I also again tried to pause 5 to ten seconds between shots. This time I was able to take 503 pictures before the battery ran out, indicating the Lenmar battery is still working just fine. I wouldn't conclude that it really took less pictures, as I may have taken more with the flash, or I may have had the screen on longer between shots. I wasn't trying to be exact, I just wanted to confirm the Lenmar battery still held a good charge and would take lots of pictures, and it did! So based on my two tests above and my experience with my other Lenmar rechargeable li-ion batteries I used for my old RAZR flip phone, if you're looking for a solid yet economical replacement battery for your Nikon digital camera, then buy the Lenmar DLZ319N lithium-ion battery on Amazon! Why pay $30-$50 for the Nikon EN-EL19 battery when you a equivalent battery for about $10 that is as good or even better than the original. 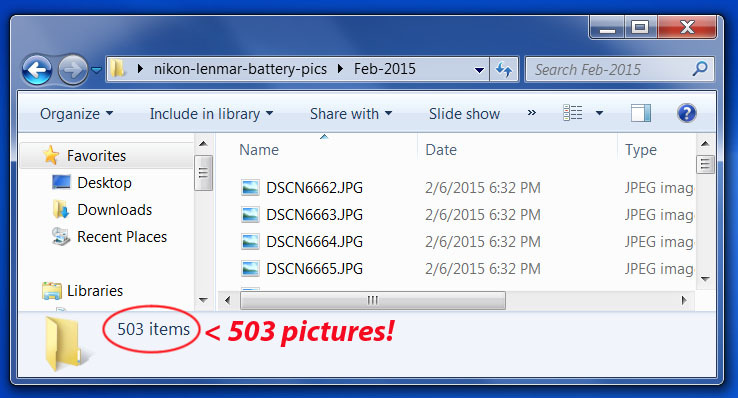 April 7, 2015 update: I bought another Lenmar DLZ319N battery from Amazon. There wasn't anything wrong with the first battery I bought last year. We just realized that sometimes we forget to charge the battery. No matter how long the battery charge lasts, eventually it runs out, and sometimes we want to take pictures and have forgotten to recharge the battery. So I decided to buy a second battery, just like I have a second propane tank for my BBQ. When I'm BBQing and my propane tank runs out (often right in the middle of grilling steaks), I just unhook the empty tank and and hook up the second propane tank,. I just have to remember to then promptly get the first tank refilled so it's ready when the second tank runs out. I'm now doing the same thing with my camera battery. We used the new (second) DLZ319 battery on a vacation trip to Death Valley last week. It lasted for the entire trip, plus lasted through the kids playing with the camera when we got home, and then for most of our Easter Sunday egg hunt. But in the middle of the hunt, the battery ran out. No problem. I just popped in the first fully charged battery, and we were back in business taking pictures of the kids finding eggs. After the egg hunt, I recharged the new second battery. We keep one battery in the camera, and one in a pocket in the camera pouch (case), and will swap and recharge them as they run out. I am happy to report that the new (second) Lenmar DLZ319N battery works just as well as the DLZ319N battery I got last year. PS. The Lenmar lithium-ion rechargeable battery replaces the Nikon EN-EL19 battery for the following Nikon Coolpix models: Coolpix S32, S100, S2500, S2600, S2700, S2750, S2800, S3100, S3200, S3300, S3400, S3500, S3600, S4100, S4150, S4200, S4300, S4400, S5200, S5300, S6400, S6500, S6600, S6700, S6800, and S6900. Hi Tina, Thanks for your comment and question. 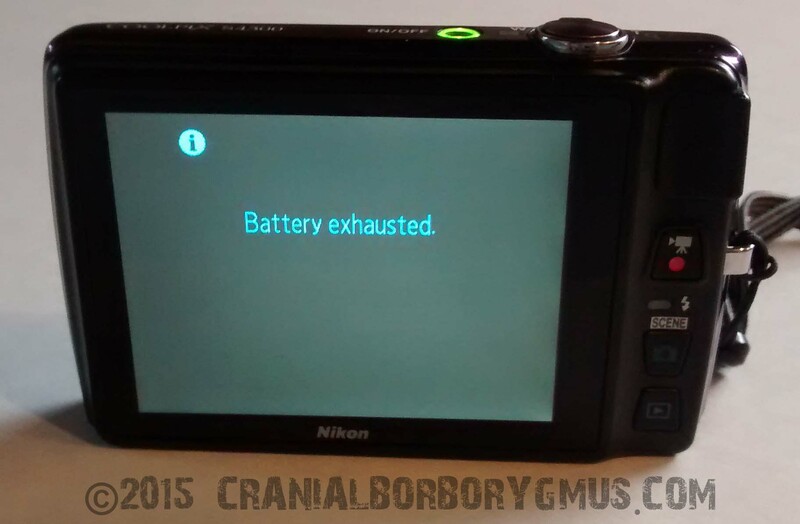 I just checked on the Nikon website (nikonusa.com) and both the Coolpix S4300 and Coolpix S4200 were supplied with the Nikon EN-EL19 Rechargeable Battery. They use the same battery. The Lenmar DLZ319N is a replacement for the EN-EL19. We use the Lenmar in our S4300, and it works fits and just fine (we are still using our S4200 and both batteries, recharging and switching batteries whenever one or the other runs out). According to Nikon, the S4200 uses the same battery as our S4300, so the Lenmar battery should work just fine for it as well. Just remember if you buy it or any other "new" rechargeable battery, you should buy it from a reputable source to make sure you get a relatively new (recently manufactured) battery and not a "new" battery from old unsold stock that's been sitting in a warehouse for several years and will not longer take a charge. Fantastic! Great work. Very useful. Many thanks. Hi Patrick, Thanks for taking the time to comment. I'm glad to hear you found my review useful. Thank you! My father, who lives in South America, asked me to buy "genuine" Nikon en-el 19 and bring them to him next week. OK. I gave in, and granted his wish for 2 "genuine" ones, and also, am taking 1 lenmar dlz319n thanks to you. We shall see. Hi Peter, If you have a chance, I'd love to hear how the batteries work out for your father and what he thinks of the "genuine" battery vs the Lenmar battery. Thanks for commenting. Hi Ken, You are correct that if your camera uses an EN-EL19 battery, then the Lenmar DLZ319N should work as a replacement. I think I got the list of Nikon cameras from Lenmar or Amazon, and put it on the review for reference because some people don't necessarily know what model number battery they need, instead they just know they need a battery for their Nikon camera S4300 (or S4200, etc). So whether or not your camera is included on the list (which is probably not all inclusive), if your camera uses an EN-EL19, then the Lenmar DLZ319N should work. Hope that makes sense. 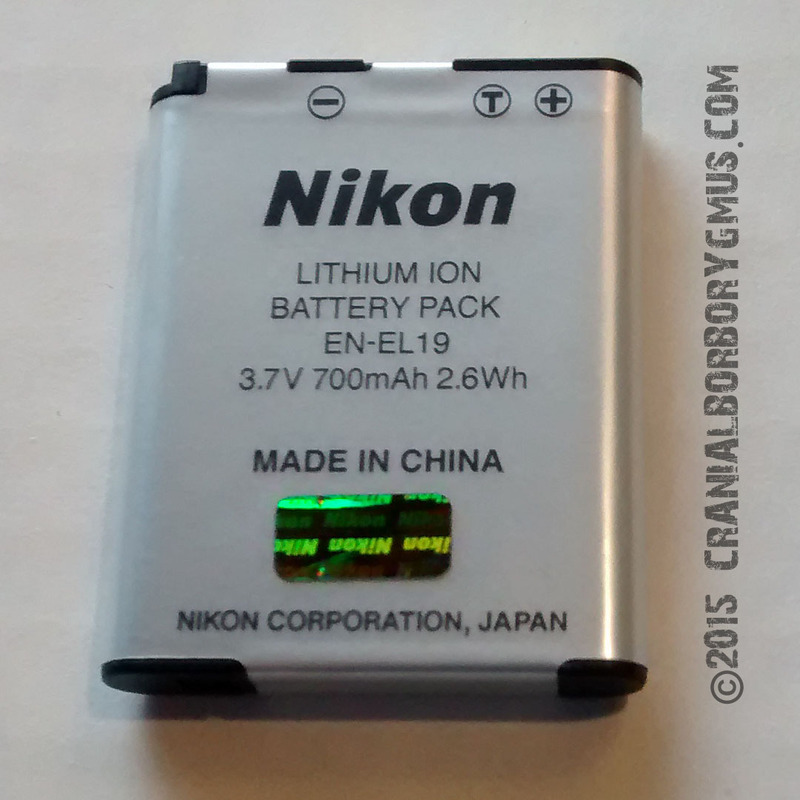 Do you have a comment or question on my review of the Lenmar Nikon ENEL19-equivalent battery? All relevant comments will be reviewed and then posted below.